Rione brings authentic pizza al taglio (pizza by the "cut" or slice) to Philadelphia. The name Rione is from the Italian term to describe the districts or neighborhoods of Rome. Philadelphia, like Rome, is a city of vibrant and distinct neighborhoods. Rione celebrates pizza al taglio and the neighborhoods from which it comes and serves. Pizza al taglio is a ubiquitous street food from Rome that is baked in rectangular trays and sold by the slice or tray. 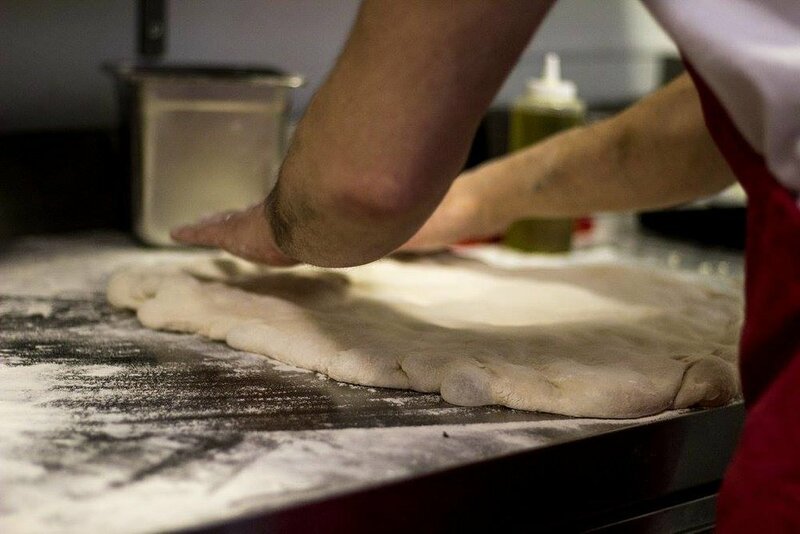 We make all of our dough by scratch using a highly hydrated formula and allow it to rise for 72 hours, meaning that Rione’s pizza al taglio is light, airy, and easy to digest. 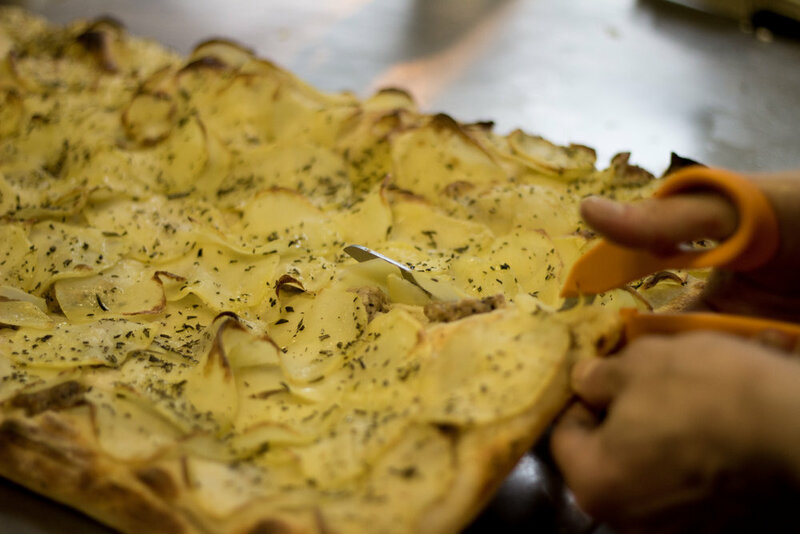 We use imported ingredients from Italy as well as local produce to promote authenticity and the Italian tradition of eating locally and seasonally. 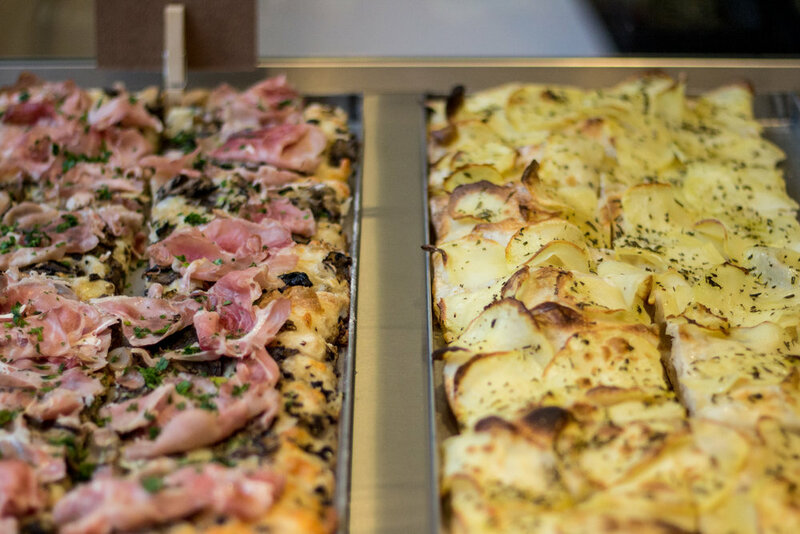 Want a slice of Rome at your next party or event? Business meeting? Office lunch? Rent our 32 seat dining room area? We’ve got you. 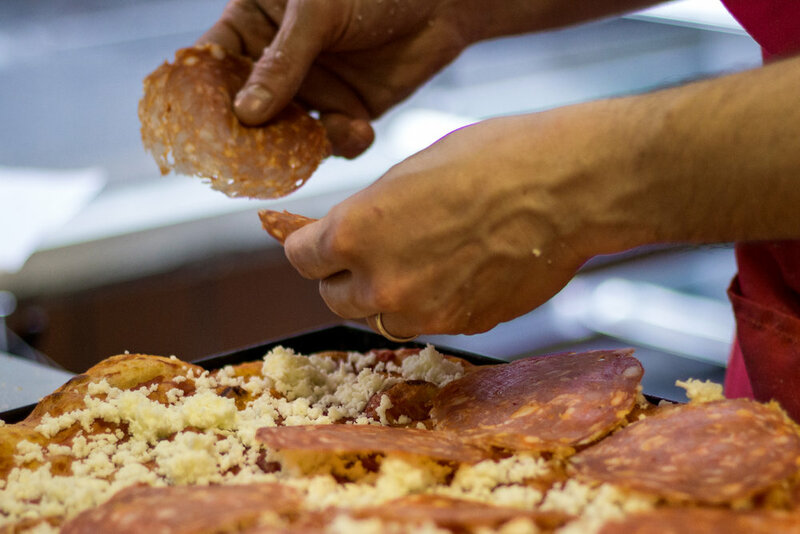 Look no further than Rione to supply authentic pizza al taglio by the slice or whole tray, fried Roman snacks, salads, and dolce. Contact us at ciao@rionepizza.com or call us at (215) 575-9075 for more information and to discuss your individual needs. Yes, we deliver river to river between Spring Garden Street and Washington avenue, give us a call at (215) 575-9075. You may also find the link to our Grubhub and Caviar page in the menu on our website. We are a fast-casual restaurant, so no reservations taken or needed. We have around 32 seats and people usually spend 30-45 minutes here. If you would like to host a private party at Rione, give us a call at (215) 575-9075 or email us at ciao@rionepizza.com to discuss. are you byob? is there is corkage fee? We think pizza tastes better with a beer or wine, so please feel free to bring your own. There is no corkage fee. Can i order full trays? While our concept is pizza al taglio (by the "cut" or slice), we do have full trays available. Please view our take out menu online for details or give us a call at (215) 575-9075 or email us at ciao@rionepizza.com to place your order. what are instructions for reheating the pizza at home? We recommend reheating your pizza on a sheet pan in the oven or toaster oven at 450 degrees for 5 minutes. Sadly, no. Sorry about that! do you have vegan pizza? Our Marinara slice is vegan. Yes, you can give the gift of Roman pizza to your friends or loved ones. We can load them with any dollar amount of your choosing at Rione or you can order e-gift cards through our website. We are looking for professionals with a passion for food and a desire to learn and grow. As our company grows, so will your opportunities! Extensive training will be provided, as will a competitive wage and a casual work environment. Full time and part time work is available. If you want to be part of an exciting new concept, please send your resume and two industry related references to ciao@rionepizza.com. The Line Cook’s duties will consist of assisting the kitchen with their daily tasks. The successful candidate will be dependable, organized, and detail-oriented. Our ideal candidate will have at least one year of kitchen experience and a passion for food, especially pizza. The Service Counter/Cashier is responsible for managing the guest experience, which includes explaining the product, handling the pizza, and managing cash and credit card transactions. What began as a Sunday tradition in the kitchen of Francesco’s Nonna in Rome, has grown into a passion for all things pizza. Rione is the culmination of many years in the pizza business in Washington, DC and Philadelphia, intensive training from the Scuola Nazionale di Pizza in Rome, and countless hours spent testing pizza al taglio techniques and flavor combinations. When Francesco is not in the kitchen, you’ll find him watching Serie A football, FaceTiming his family, or planning the next adventure with his wife Ali. 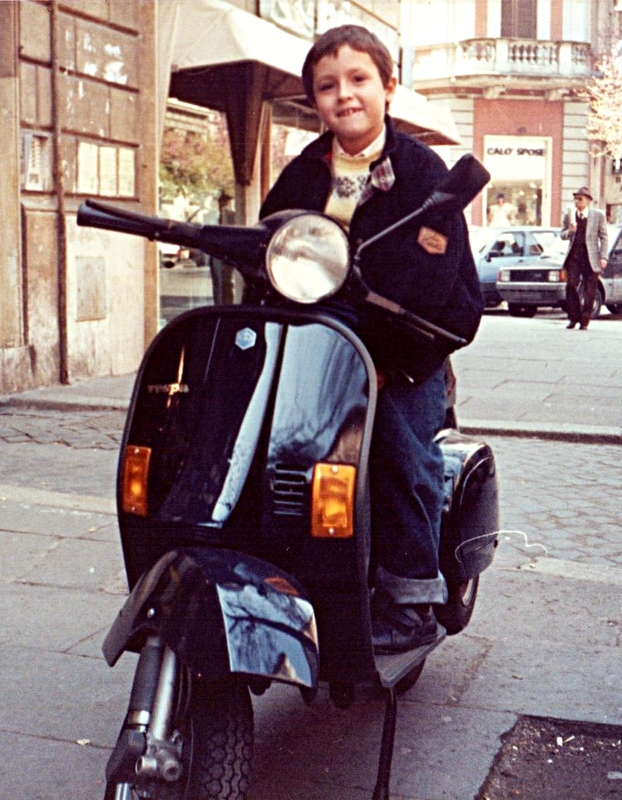 Originally from Rome, Francesco is proud to call Philadelphia home. Alison fell in love with all things Italian, including Francesco, while living and studying in Italy. After their whirlwind courtship, Francesco and Alison moved back to the U.S., got married, and started planning for their dream pizzeria. Alison is responsible for general management and taste testing. When Alison is not eating pizza, she is at her day job working for a non-profit focused on helping children survive and thrive in developing countries. Alison is originally from Allentown, PA – a stone’s throw from her new home in Philadelphia.